We first wrote about electric scooters back in December, in light of their growing popularity in urban areas along with media reports concerning serious injury. We then learned about a case involving two Georgia Southern University students who were seriously injured while riding a Lime scooter. More recently, we wrote about the Atlanta City Ordinance that was just adopted in order to clean up our sidewalks and protect the public. 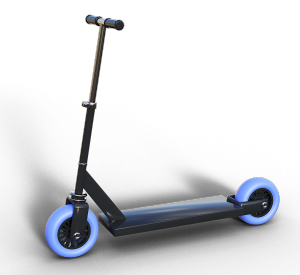 We’ve now learned that an Atlanta man sued e-scooter company Bird on March 8th as a result of injuries suffered in January. The plaintiff in the lawsuit, Simon Clopton, claims that he was riding the scooter on the Georgia Tech campus when it suddenly braked and went left. The sudden stop threw him to the ground, resulting in a broken arm and leg and $156,000 in medical bills. Mr. Clopton claims to have been on the scooter for only one or two minutes when the accident occurred. He does not know how fast he was going, but the scooters are capable of traveling at speeds of up to 15 miles per hour. Mr. Clopton claims in his lawsuit that Bird knowingly rented scooters with faulty brakes. Did the Ordinance Go Far Enough? The recently adopted Ordinance does require scooter companies to “monitor and maintain” all scooters to ensure that they are in “good condition.” However, the ordinance does not subject the scooters to inspection by City officials or even require proof that the companies are in compliance with their maintenance obligations. The Ordinance does require the implementation of a “digital dashboard” that will allow for monthly reporting to the City of various data points, including the number of crashes and any documented injuries. As a result, there is no way of knowing whether scooter companies are being diligent with regard to the maintenance and repair of their scooter fleets. It therefore seems likely that riders will continue to face an unknown and unaddressed risk of potential mechanical failure. And as we’ve seen in Mr. Clopton’s case, these mechanical failures can result in serious injury. Are Users Waiving Their Rights? Probably the biggest challenge Mr. Clopton faces is the fact that the standard click-through user agreement in Bird’s app contains broad liability waivers and a requirement that any claims be subjected to arbitration in California. This is another issue that was completely unaddressed by the newly-adopted Ordinance. The Georgia General Assembly is also considering legislation, but it appears that they have not focused on this issue, either. Mr. Clopton’s lawsuit intends to challenge the waiver as unfair and illegal. In addition to Bird, Mr. Clopton has also named Segway, Inc. and the software company behind their app, Xiaomi, USA, Inc. as co-defendants in his suit. Given their over-reaching user agreement and the fact that litigation is already pending, you can expect these companies to mount an aggressive defense with well-funded legal budgets. We’ll continue to track this case and monitor any developments as the e-scooter business continues to grow. Despite their convenience, these scooters pose a serious risk of injury, and the corporations behind them will go to great lengths to avoid responsibility. Our attorneys are ready to help if you’ve been injured while riding a scooter – call us at 888-474-9616 or fill out our online contact form to schedule a free consultation and discuss how we can help you get the compensation you deserve.